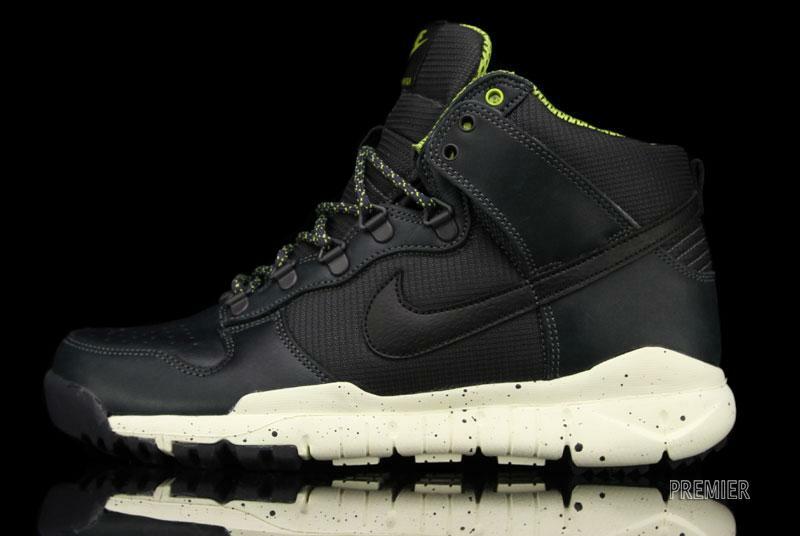 Nike continues its Off Mountain Series releases this week with the new Dunk High OMS in Anthracite / Atomic Green. 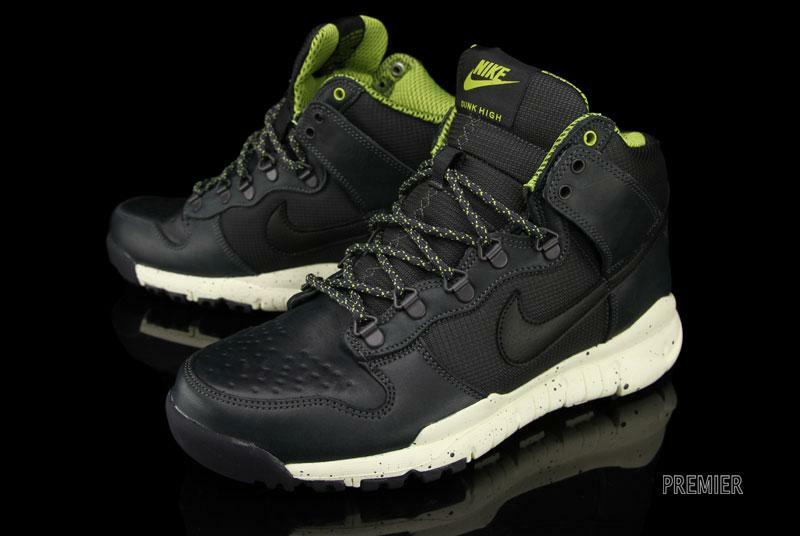 Nike continues its OMS (Off Mountain Series) releases this week with the new Dunk High OMS in Anthracite / Atomic Green. 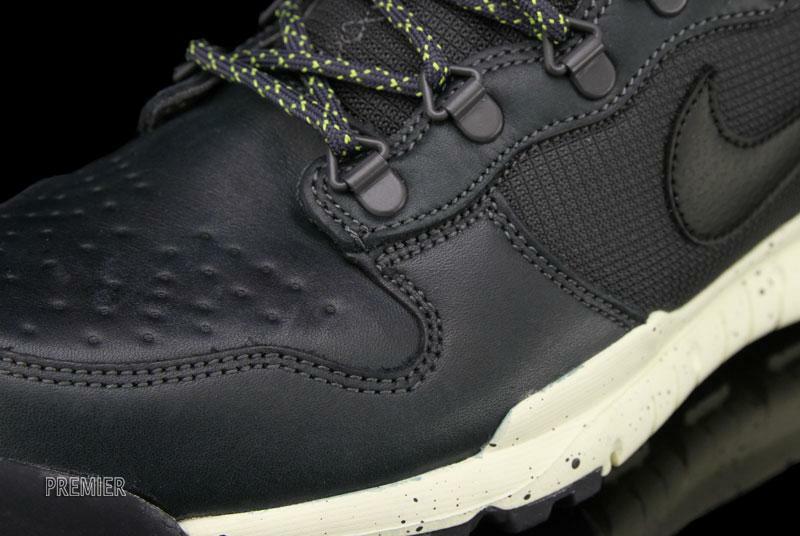 The winterized Dunk High OMS utilizes a waterproof leather upper derived from the classic Dunk model, with additional rugged features including boot-style lacing and a gusseted tongue. 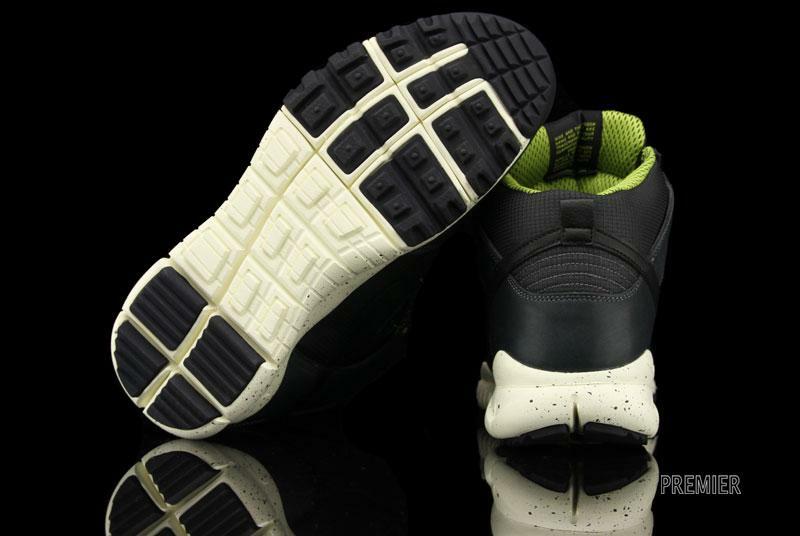 A Free-inspired sole unit provides an additional level of comfort and flexibility. 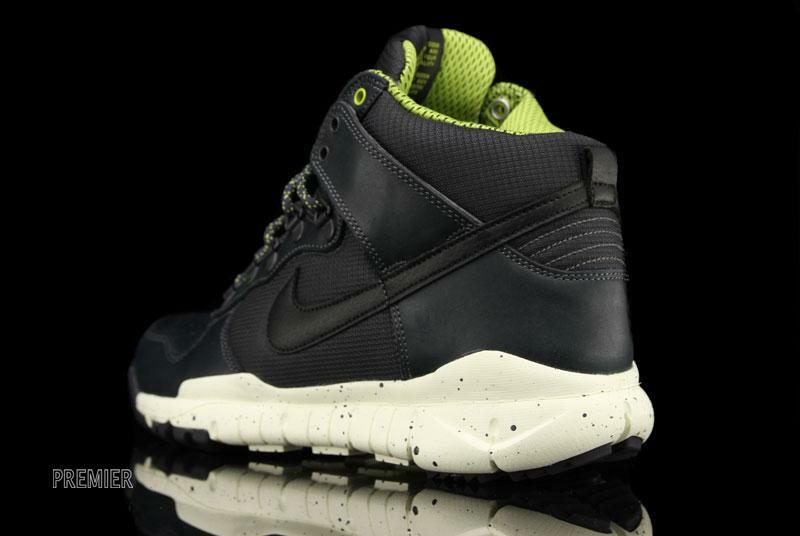 The Nike Dunk High OMS in Anthracite / Atomic Green is available now at select Nike retailers, including online at Premier.